The iluac software, a company from France, recently launched a new program called bim.aero, to deal with the barriers which BIM delivers to designers by facilitating them to produce BIM models with software they are well versed. The program can be downloaded from the Mac App Store. The software facilitates the users to develop a BIM model and database from almost any CAD or 3D source model. As the designers will be able to utilize their CAD or 3D design software according to their choice, they don’t need to focus on BIM considerations throughout the design and drawing phase of building projects. 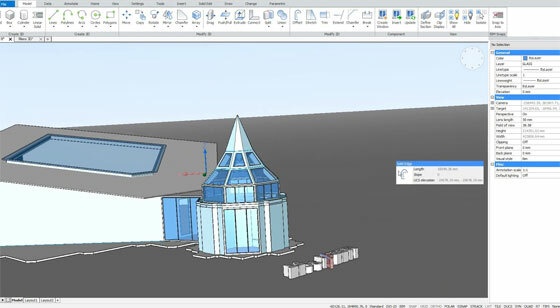 After importing the model into bim.aero, users can simply generate BIM data hierarchy, and set up connections among its components and the imported geometry with predefined templates and user-friendly, drag-and-drop features. The users will be able to produce their own property and quantity dictionaries. 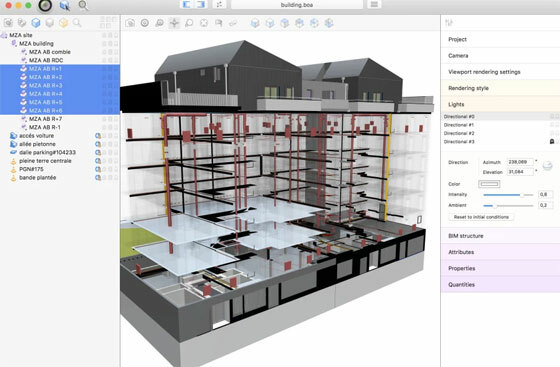 The software is also applied to explore BIM data and navigate through a model, as well as render it, transforming it a robust 3D visualization tool. bim.aero is free, but with the use of the software’s Premium Pack (in-App purchase), it is possible to export a final BIM project with the IFC 2×3 format. IFC is a base language that can be employed to deliver information among BIM applications whereas retaining the definitions of various types of information in the transfer. It arranges for BIM interoperability. BricsCAD V18.2 is launched with some new and advanced features which are included in core BricsCAD platform. New associative center-lines and center marks will facilitate to make the drawing and modeling tasks automated. In V18.2, a new option called In-place text editing is available. Viewport boundaries can also be applied for TRIM and EXTEND. The trademark BricsCAD Quad cursor and roll-over tips are improved significantly in V18.2. Besides, it is possible to generate 2D and 3D constraints easily in BricsCAD V18.2. In BricsCAD V18.2, there is a multi-resolution, consistent image cache to show PDF underlays. It is effective for rapid Zoom and Pan operations. It is also possible to manage how BricsCAD regenerates the underlay to satisfy your definite requirements. With improved 3D direct modeling, the users will be able to produce rotated, swept and symmetric solids conveniently. Detected model boundaries are utilized for developing advanced shape. The 2D drawing generation performance of VIEWBASE is reformed significantly. BricsCAD V18.2 comprises of the BricsCAD LISP Advanced Development Environment, but it is also termed as BLADE. LISP is alive in BricsCAD! BricsCAD BIM V18.2: The powerful BricsCAD BIM auto-classifier, “BIMIFY”, comes with greater functionality in V18.2. Model elements with standard profiles are considered as structural members, and auto-tagged with their profile data. Supplimentary smarts are included to BricsCAD BIM to accelerate the formation and editing of linear solids. There is also support for Australian Standard Steel Section profiles. Room detection becomes superior for room bounding elements. In BIM V18.2, volume sections are affixed to a Room as interior elevations. 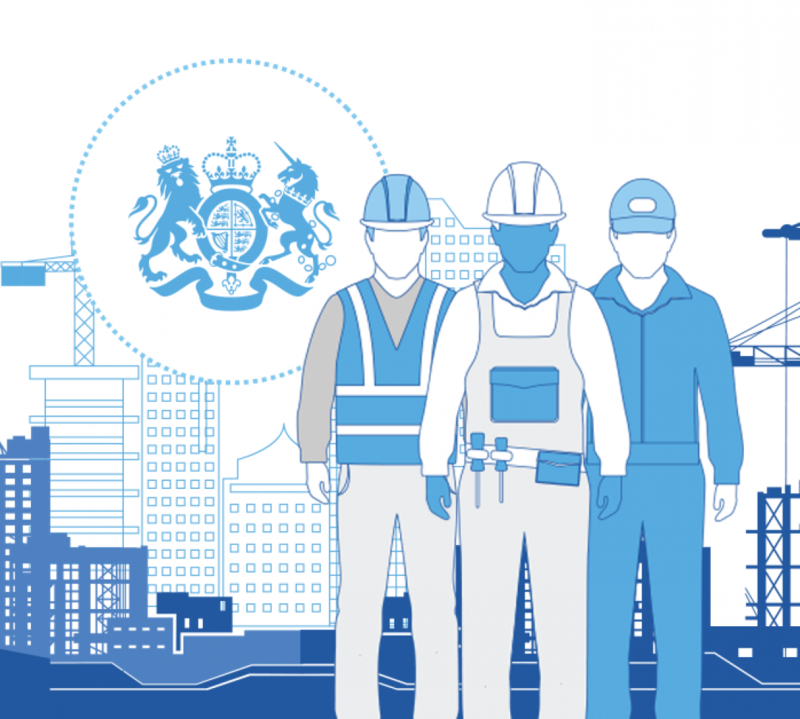 The BIM Suggest tool can employ section views to show you how your BIM suits together. Put in a component into any wall segment and it’s automatically BIM classified. In V18.2, it is also possible to split the link among a window and a wall to eliminate the window and sustain the wall opening. Given below, an extensive lists of jobs opportunities for BIM professionals all through the globe. Safdie Architects is inviting applications for a BIM / Technology Manager in their Boston office. The prospective candidate should have to work directly with all Project Managers and organize across all running firm projects. The candidate should contain minimum 5 years of working experience in a design and construction surroundings. BIG – Bjarke Ingels Group is seeking a BIM Specialist in their NYC location. The prospective candidate should contain 3 to 7 years of professional experience with Revit. The candidate has to work primarily with the BIM Manager and with BIM project teams. A position for an Associate, BIM is vacant in NYC based SHoP Architects. The candidate has to guide the team as a BIM coordinator in a large complicated model. The candidate should contain minimum 3 years of experience with consistent Revit modeling, organization, and documentation experience. Perkins Eastman is going to hire a BIM Lead in their NYC office as well as a BIM Manager/Project Architect in their San Francisco office. The BIM Lead has to take responsibilities for finished plans, specifications or approval of materials and construction. The suitable candidate should contain minimum 8 to 10 years or more of experience with advances skills in supervising multiple project. The BIM Manager will be liable for dealing with software related issues for the project design teams. The candidate should have also good skill set in simplifying project production. Lake|Flato Architects is inviting application for the position of a BIM Manager in their San Antonio, TX office. The candidate has to settle various, coexisting priorities whereas forecasting and responding to the various requirements of the firm and its clients. The suitable candidate should contain minimum 10 years AEC project experience together with a minimum of 5 years Revit experience. Hornberger + Worstell, based in San Francisco, is currently hiring a Job Captain/BIM Coordinator. The prospective candidate should contain at least 3 to 8 years of experience with a desire to maintain long term relationship with the company. Besides, the candidate has to work in tandem with the Production Director and the BIM Manager on project development working. JTB World recently launched HVACPAC, an exclusive AutoCAD app for creating design of HVAC and Piping system in 2D and 3D. HVACPAC comprises of all In-line duct fittings and equipment, air terminals and HVAC related pipe work. HVACPAC was created as per South African standards (Which are identical to most countries) but can be modified as per your requirements). This newest app is well suited with AutoCAD versions like AutoCAD 2012 and AutoCAD 2018 as well as all flavors/verticals derived from AutoCAD like AutoCAD Architecture (ACA), Architectural Desktop (ADT), AutoCAD Civil 3D, AutoCAD Electrical , AutoCAD Map 3D, AutoCAD Mechanical, AutoCAD MEP (AMEP, ABS), AutoCAD P&ID, AutoCAD Plant 3D. 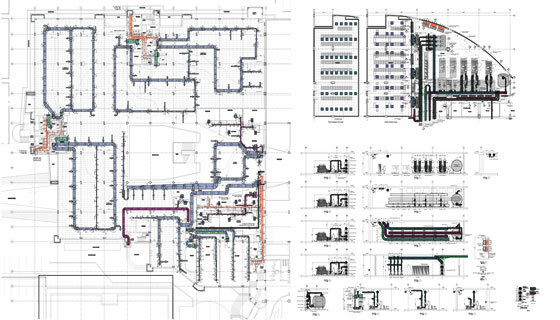 It also contains various 2D and 3D tools for producing overhead schematic maps together with side-on views for HVAC control rooms and other facilities for managing and servicing HVAC hardware. HVACPAC is mostly effective for draughtsmen and engineers. It allows for superior quality measurement of ducts, pipes and components in a matter of seconds. It also generate tables of elements instantly and automatically. Revit Project Templates provide a beginning environment and standards for new projects and project templates are used as either the default templates or define custom templates to encourage office standards. Besides of giving a beginning point for a new project, a project template also provides view templates, loaded families, defined settings and geometry etc. 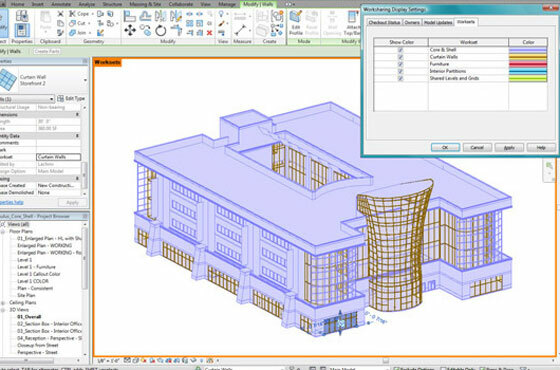 After installing Revit software in the system, it opens various templates for different disciplines and types of building projects while users can also create project templates to locate specific needs or to ensure observance to office standards. As Revit has lot of facilities and tools for the users, it has become the favorite one of the architects, designers, project managers, virtual construction modelers and BIM managers. This article is ideal for the Revit users who want to know more about the Revit Templates and the process to improve their projects and method of work. Use Templates in files and views: Viewer templates are very useful and the people who work with Worksets find some difficulty to configure the visibility of every Workset. So this template helps to see the limit of views, the appearance of categories, filters and many more; using templates also makes the views standard and make them faster. 1. Use Worksharing: Most of the people are not aware about the templates and still create separate models of a project and then keep them in separate files to join them together, it is a time taking work. 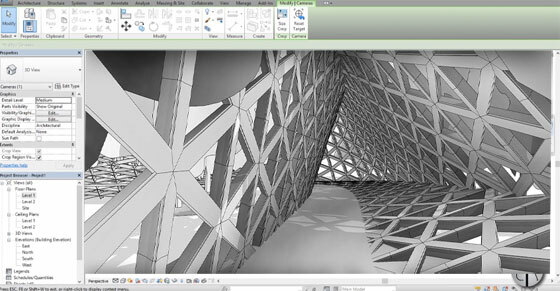 In Revit the entire project can be developed and made with the whole team in the same time in a file; where people can do different tasks in a same time like modeling the topography, working with structures, finalizing the architecture, detailing interiors etc. Basically in Revit, people can model an entire project in a same time and can create clash detection to detect the interference. 2. Use Shared Families: When any team works on similar projects with similar benefits and have a group of families that is always together or in toilets or MEP solutions, using the shared-families will unite them all while the editing and measuring can be done separately. 3. Crete Assemblies: The worst thing in detailing things in Revit is making every view and here Montage helps to bring together families of different categories and make a single element with a list of views. 4. 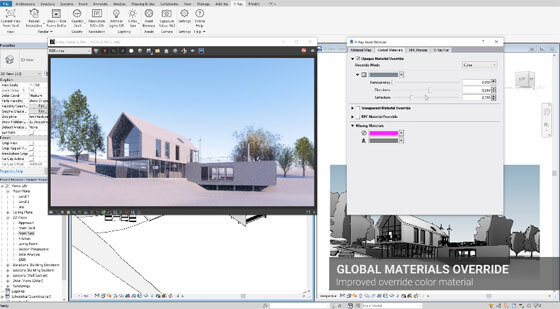 Group and organize the views: In Revit, designers can create separate documents, Preliminary Study, Architecture etc. organize them and filter the views as per need. 5. Allot a code for everything: When the subject matter is numeric it is better to organize, parameterize and categorized them as per order like assigning codes; it will help in filtering exactly as per the needs of users. 6. Learning to leader the phases: Phases are one of the smarter things in a project program as it help with ideas, designs and manage the difference between the old and new; also impress the customers and create numeric and tables. 7. Use the Parts: Parts can separate the walls from each other and can help to create wonderful detailed walls with separate structure, finishes, details etc. Users can hide some parts or delete parts to manage the walls. 8. Creating a board: Revit has previously made the families of boards with different sizes but it is better to have a single family of boards with different sizes mean only one family with everything. 9. Purge: As the Revit models are huge, templates help to keep them in order but unnecessary templates are a burden, the Purge command deletes the unnecessary ones. 10. The drawing options: This advantage Draw Options tool allows creating different proposals within the one Revit file. V-Ray 3.6 for Revit is launched by adding some avant-garde features to Revit along with rapid hybrid GPU + CPU rendering, photorealistic grass and fur, and rapid scene export. With a simplified UI, it becomes easier to generate stunning renders retaining your workflow as it is. A webinar will be arranged on February 27 to demonstrate the new features of V-Ray 3.6 for Revit’s. RAPID SCENE EXPORT: Now render any complicated scenes four time faster with new optimizations and smart caching, translation. NEW ASSET BROWSER: Demonstrates all materials and proxy objects, and facilitates you to choose and edit various materials. STREAMLINED UI: Updated and simplified interface for a more intuitive, easy to use workflow. V-RAY PROXIES: ArchVision RPC objects are employed as stand-ins for V-Ray proxy objects in your Revit scene to start rendering of high-resolution models of trees, cars, people and other entourage. V-RAY GRASS & FUR: Render realistic grass and fur. HYBRID RENDERING: V-Ray GPU operating on NVIDIA CUDA can now take complete benefits of all existing hardware along with GPUs and CPUs. 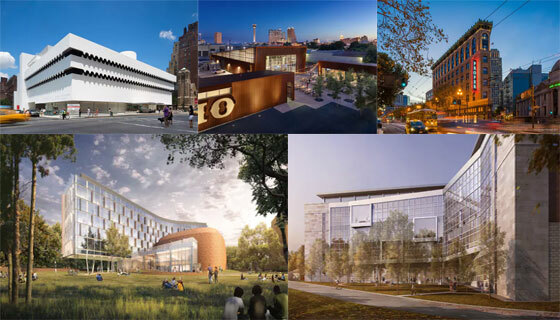 CLOUD RENDERING EARLY ACCESS PROGRAM: Chaos Group’s consistent cloud rendering service can now be accessible in V-Ray for Revit. To apply it, just click the cloud rendering button in V-Ray for Revit, or register at chaosgroup.com/cloud.